*Grammy-award winning hip hop artist Common was in his hometown of Chicago Friday to celebrate it’s music scene after a hail of gunfire wounded 13 people. “It makes me think I got to do more; we got to do more,” he said in an interview with The Associated Press after giving a speech as the keynote speaker at the Chicago Music Summit, a conference to help local musicians and music professionals with their careers. According to police, the shooting that took place on Thursday was gang related. 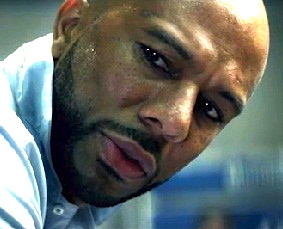 Common feels that the generation of rappers that came behind him are adding fuel to fire of gang violence. His feelings on gang violence prompted Common to previously call for a “peace summit” with fellow Chicago rapper Chief Keef whose music infuses the use of weapons and violence. It seems rap music found it’s way into Thursday’s shooting. The 3-year-old boy who was shot in the face has an uncle who was an aspiring rapper who was fatally shot in Chicago this month. Grammy-winning rap artist Che “Rhymefest” Smith said he believes that many of today’s aspiring rappers look to gang violence as way to fame and out of poverty. Common said the key to ending the cycle of violence that rap music has been linked to for years is more educational programs and other initiatives, and that rap artists should help those programs in any way they can. At the same time, Common, who has his own foundation that exposes disadvantaged young people to the creative arts, said that while he still believes a “peace summit” would be effective, it is only a first step. Not gonna happen Common. They make way too much money off the exploitation of violence. @Kay – Oh it’s got to happen. Too many black men killing black men and babies. This has got to stop.